Imagine working with an online travel agent who understands how African lodges work. Someone who specialises in attracting customers who want your African experience. Someone who understands how your transfers and extras work and who can sell your beds, without you having to do anything! Many of Africa’s top booking agents and safari specialists are investing in development to be able to link to ResRequest via our ResConnect product. Allowing them to easily check availability, quote accurately, and even book – saving the guest, agent and lodge time. As a FREE business to business interface, ResConnect enables remote lodges to have a greater online presence and increase their sales by having real time inventory available for their agents. This is a safe and hassle-free way to streamline agent business whilst having full control of the shared information. If you have any questions or want to know the next steps to getting connected, please contact us on: support@resrequest.com. See what our connection partners have to say! Timbuktu Travel is an online platform empowering people to easily discover and book hand-picked safaris across Africa. followme2AFRICA is happy to partner with ResRequest to provide their clients with a seamless online booking platform. The integration will allow our clients access to rates and availability, ensuring maximum sales penetration as well as an easier way to transact. 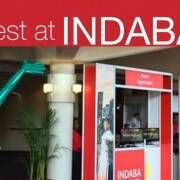 The integration will ensure reduced time for the booking process, a key requirement across their client-base. “Our continual partnership with important channel distribution platforms such as ResRequest reiterates our commitment to offering our clients the best service, platform connectivity, and booking efficiency as possible”. – Rory Mathew, IT Manager of followme2AFRICA. Africa Travel Resource is a travel company specialising in assisting travellers to create authentic and innovative trips to Africa. We also connect to Wetu, Robert Mark Safaris, Wilderness Safaris, African Eagle, CAT-Africa, South African Golfing & Safari Tours, Enchanting Travels, African Ample Assistance, Abenteuer Afrika Safari, African Bush Camps, Africa Travel Group, Africa 220, Cedarberg Africa, Discover Africa Group, Elewana Travel Ltd, Gamewatchers Safaris, Highline Tours & Travel, Iluka Tourism Investments, Infinite Africa, Inspirations Travel & Tours, Jenman African Safaris, Ker & Downey Africa, Live the Journey, Maplanga Africa, Natural Selection Safaris, New Frontiers, Personal Africa Travel, Safari Destinations, Springbok Atlas – South Africa, Team DM UK, Tour d’Afrique, Travel Counsellors, Sandown Tours & Incentives, Sense of Africa, Tourvest Destination Management, Travel Wild Botswana, Uitkyk Holidays, Vintage Africa, Wild Africa Travel, XO Africa Travel and &BEYOND. Next steps for lodges: Connections are quick and easy – just build a relationship with the agent you’d like to connect with. Set them up in ResRequest as an agent and user, then send a request to support@resrequest.com to link you up. Each connection is FREE – with a nominal once off setup fee. 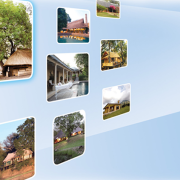 Are you interested in a direct link to Africa's finest properties? Exploring Africa Lights, camera, action!